ALTA, a Latin word that means “high” or “noble” is something we, Filipinos, are definitely familiar with. It has been a commonly used adjective that we often associate with something posh and classy. This word is also the idea behind the opening of ALTA by Relik, a new restaurant located in Santolan Town Plaza, Little Baguio, San Juan. 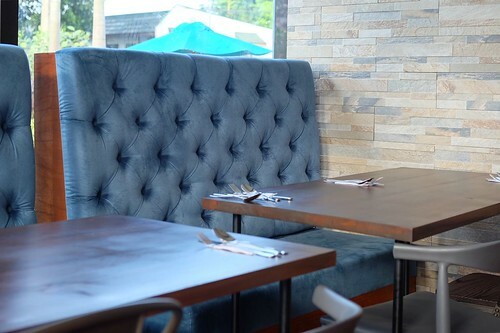 From the same partners behind Relik in BGC, ALTA by Relik is an upscale rebrand that serves Asian cuisine and Filipino comfort food with a twist. They pride themselves on serving food made from scratch using only local and fresh ingredients. It was a nice and sunny Saturday when The Foodie Station crew visited. The place was airy and bright, spacious with plush couches and wooden tables. Despite the elegant ambience ALTA by Relik is clearly aiming for, the restaurant still gives off a very relaxed setting. We came hungry and had the chance to taste some of their mouth-watering dishes. A word of caution, scrolling below might leave you hungry, don’t say we didn’t warn you. 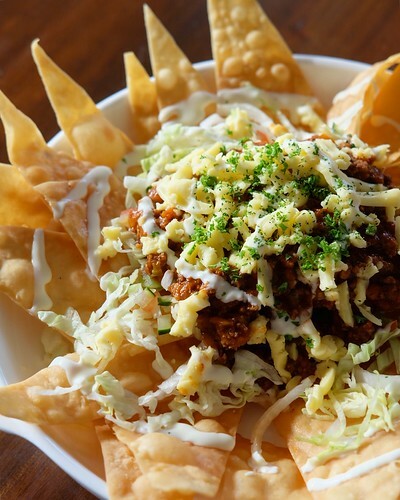 This particular dish has been a favorite of ours from Relik in BGC. Naturally, we were ecstatic to find this on ALTA’s menu. It’s a nice choice for an appetizer and a perfect bar chow. 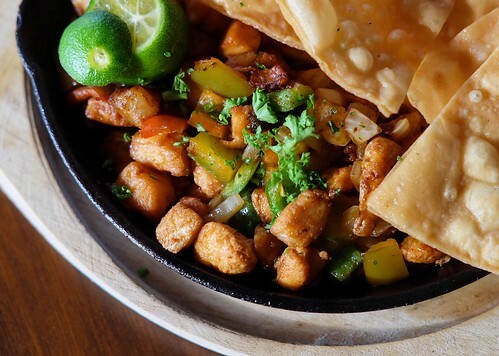 Crispy and deep-fried to perfection, their homemade tortilla chips are seriously addicting. Top it off with heaps of saucy meat, crunchy lettuce and cheddar cheese; it’s a real party on the taste buds. Did someone say Salmon Belly Sisig? Yes, someone most definitely did! Delectable salmon belly cooked in their special mildly-spicy sisig sauce topped with their homemade tortilla chips. The Relik’s Nachos might have some serious competition. Instead of using pork or oxtail, ALTA’s take on this classic Filipino dish is by using large chunks of crispy bagnet, which is delivered straight from Vigan. 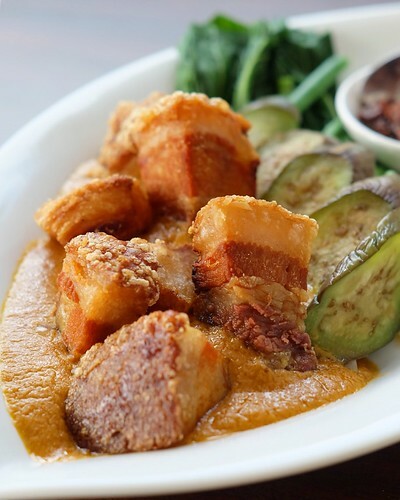 The bagnet is crispy upon the first bite and tender as you gradually munch on it; has a nice layering of skin, meat and fat which indicates topnotch quality. Everyone from our group loved this; it delivers a full flavor without being overly rich. 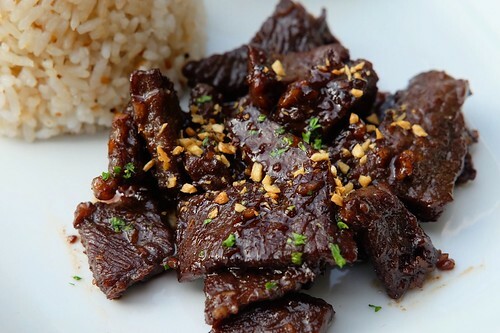 Normally, beef sirloin is used for beef tapa dishes, but ALTA opted for beef skirt which is known for its flavor rather than tenderness. It has a strong and gamey taste, the beef really soaked up the salty-sweet marinade. 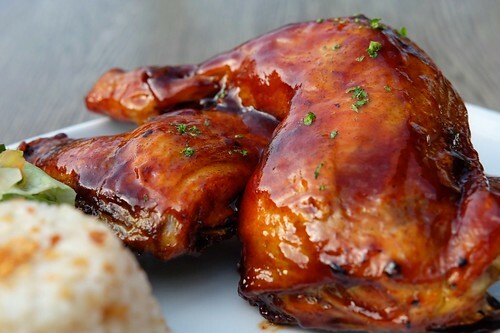 Two huge and juicy baked chicken leg quarters coated in barbecue sauce served with garlic rice and a side of salad. The glaze is simply drool-worthy with a tender and soft texture. This dish is best for sharing. 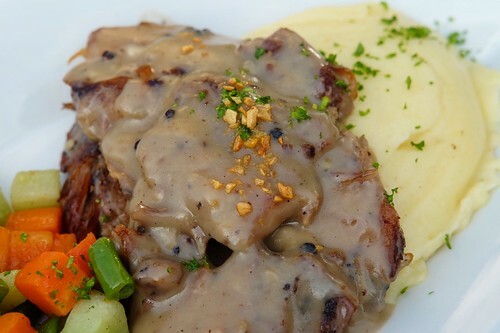 Carefully carved pieces of beef belly slow roasted until tender, bathed in a generous pool of black and pepper gravy sauce served with mashed potatoes and a side of buttered veggies. Beef can be often chewy and rubbery if undercooked or overcooked, but ALTA’s slow roast beef is fibrous and really soft. Perfectly paired with their creamy mashed potatoes, it provided a nice contrast in terms of taste. We are familiar with Milo Dinosaur as an iced drink on a hot summer day, ALTA’s take on this is an interesting and delectable dessert. 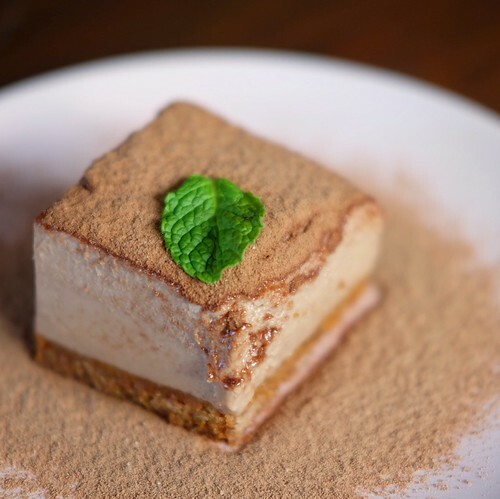 Rich and creamy cheesecake infused with Milo, this dessert is perfect for our cheesecake-loving hearts (and bellies). One of the best s’mores desserts we have ever tasted can be found in ALAT by Relik. We are not exaggerating. 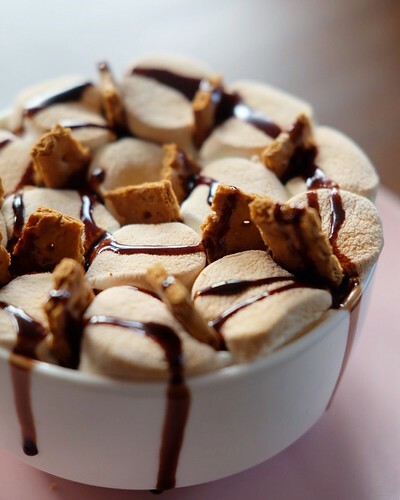 A bowl of toasted marshmallows and Graham crackers drizzled with chocolate syrup. Inside is a moist and gooey chocolate lava cake. Dig your spoon deep enough and simply drown in dessert perfection. Stuffed inside this warm pie crust is a creamy and sweet banana caramel mixture. 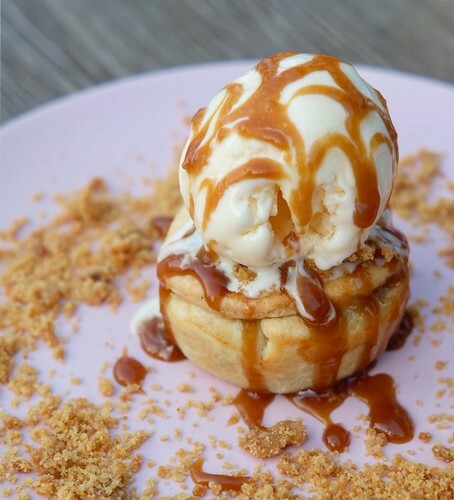 Topped with vanilla ice cream with butter streusel and caramel sauce, rustic and simple and has a light, clean-tasting feel. Go for this one if you’re more of the “homey dessert type” rather than the “sinfully sweet type”. ALTA by Relik is a place we’d definitely go back to, especially for a delightful lunch affair. They deliver a surprising and welcome twist on classic comfort food. We live in the Instagram age wherein each and every dish must look food magazine worthy, which at times sadly sacrifice taste. ALTA by Relik hit the mark without foregoing flavor. Visually-pleasing food without being too overbearing is indeed something ALTA, pun intended. For queries and reservations, you may reach them on Facebook and Instagram.